I found all these small things on Thursday evening. Check it out! 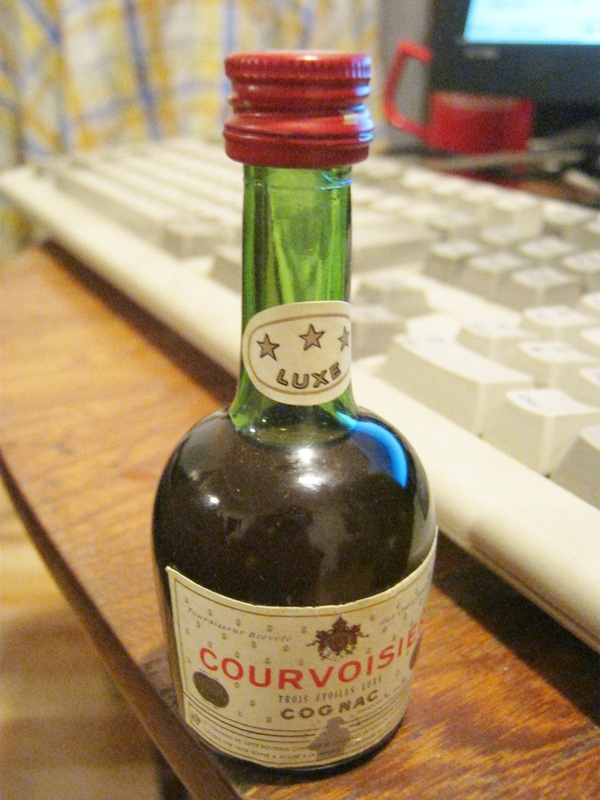 A little bottle of Cognac. I’ve found a few of these bottles in the same place now (St Urbain across from Clermont). One was Whiskey (Jamesons), which I shared with a friend. Another was Gin (Beefeater) which another friend drank. We’re all still quite alive, so this one will disappear sooner rather than later. Another bottle, this one empty. 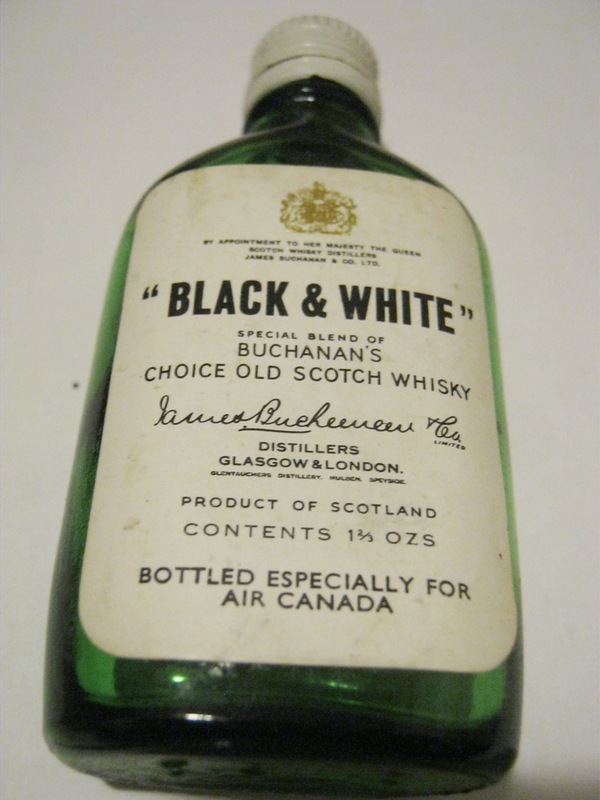 It says that it was “Bottled Exclusively for Air Canada.” Nothing like a little scotch to make that flight go a little smoother. 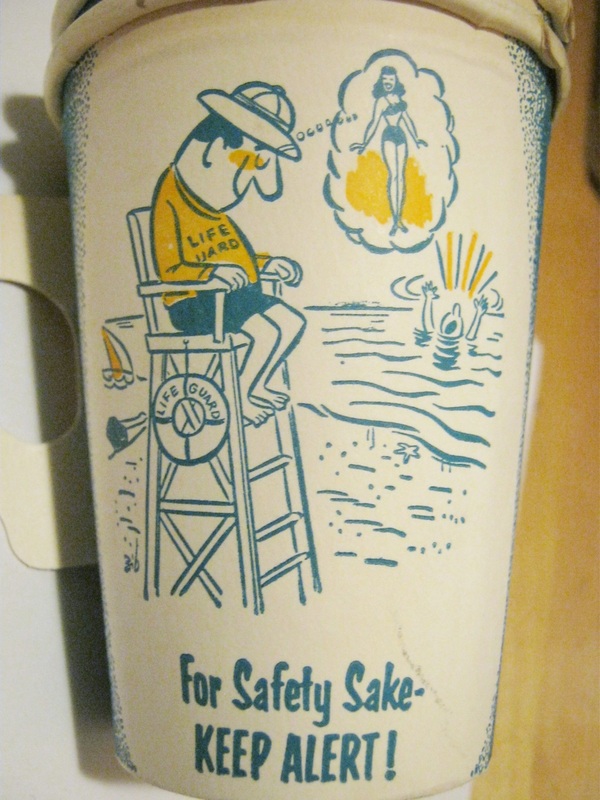 I found a couple of old dixie cups which were still in pretty good shape. I mean, I wouldn’t drink out of them, but maybe someone could put pencils in them or something. I like how they teach good lessons as well. The first taught us not to fantasize about women while working a job that requires attention to detail. The other teaches us not to take anything for granted. Watch those elevators people! And don’t take anything for granted. 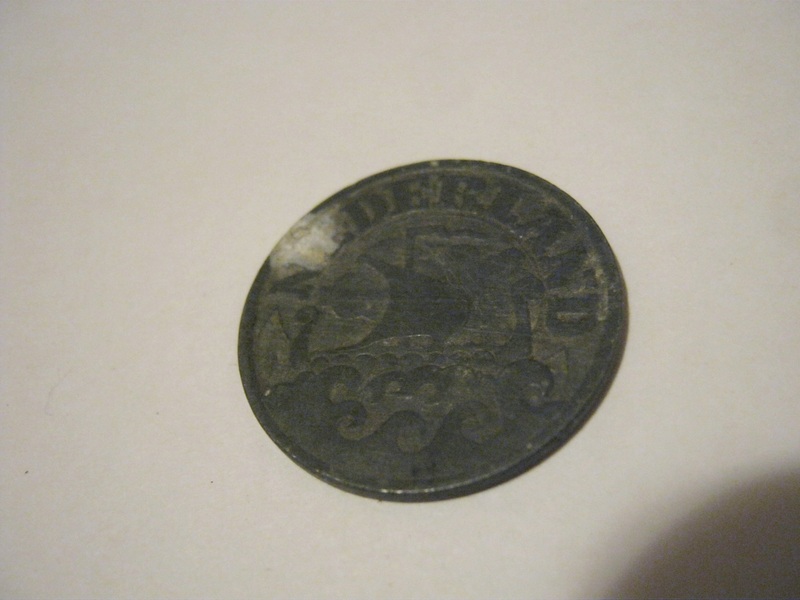 An old coin from war-time Netherlands. Not super valuable or anything, but a cool find nonetheless. 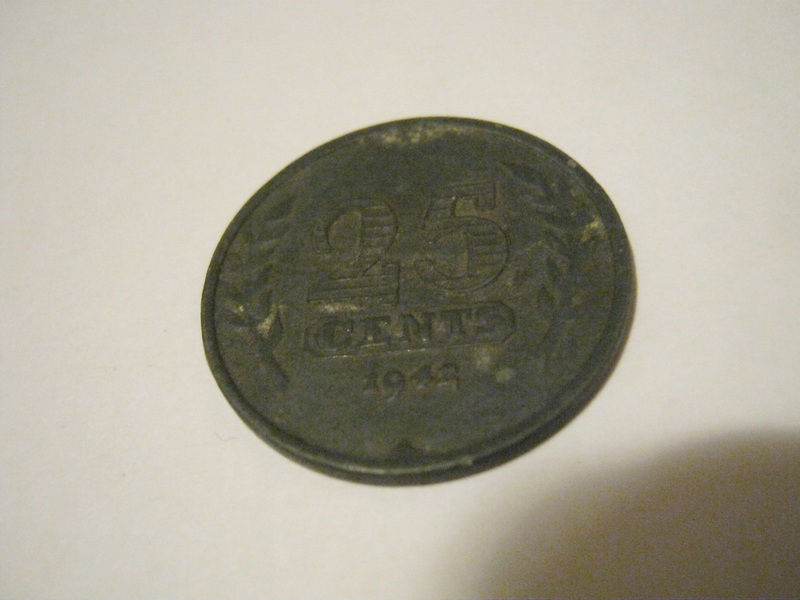 I’ll probably give it to a coin collecting friend. 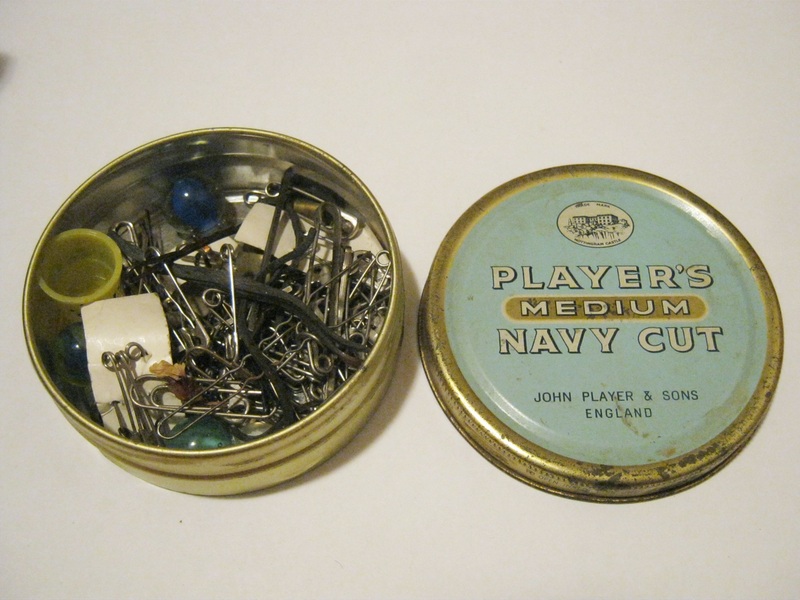 A tobacco tin full mostly of safety pins and sewing needles. 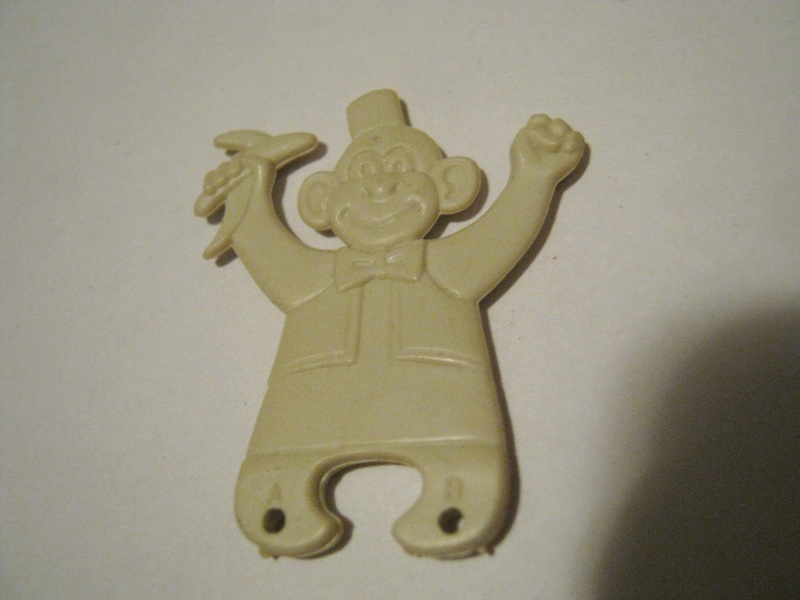 I found this cute little doohickey. I figured it was to put on spoons so that babies would enjoy eating baby food more. From the baby’s (or whoever else’s) perspective. Fun stuff! 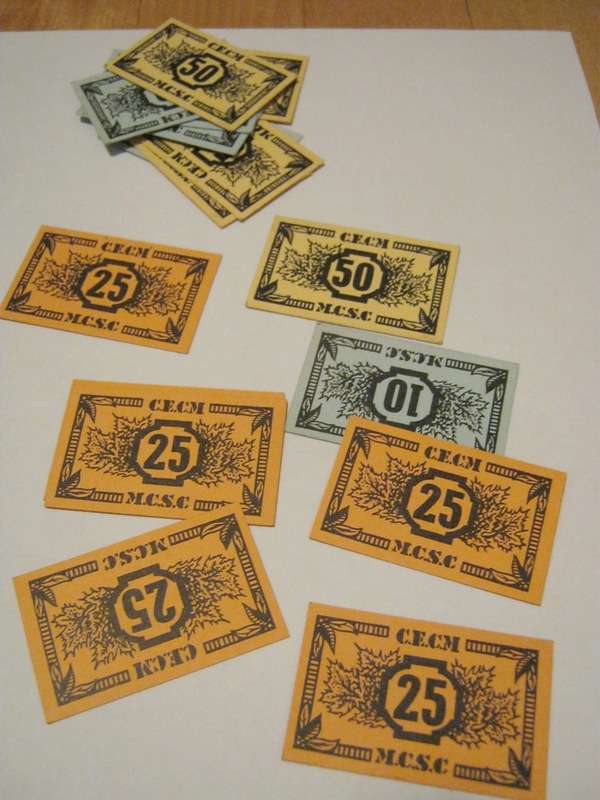 I got tons of Scholastic money. I wonder what the conversion to the Dollar is like. Should probably look that up before bathing it in. 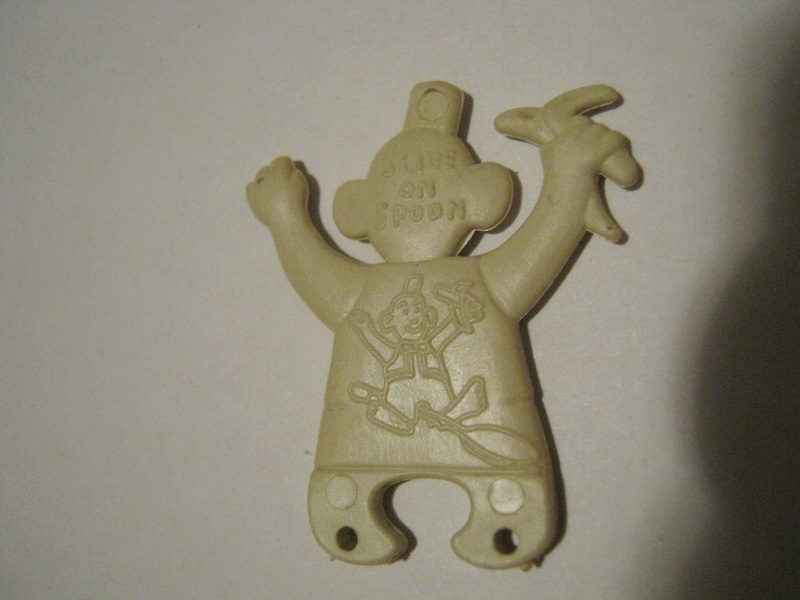 Anyone know what this was for? 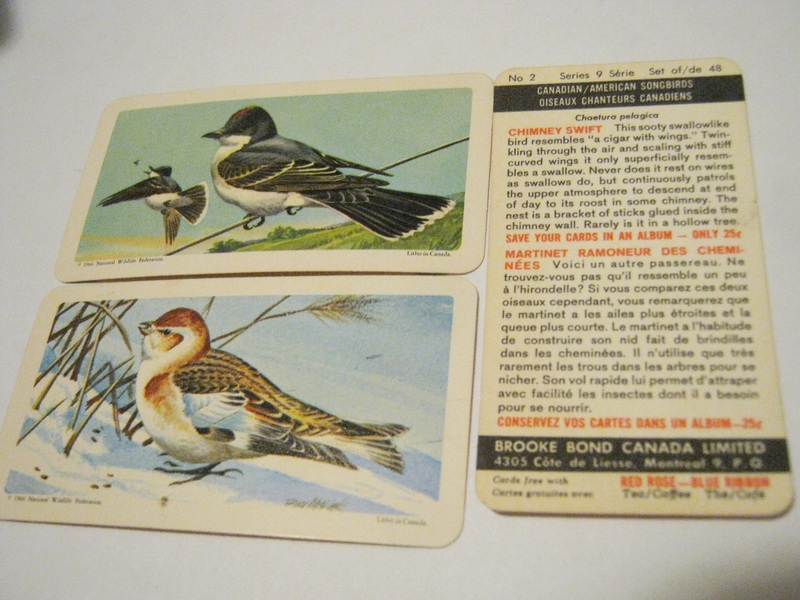 I love these animal cards. They’re marked as being from 1966, and apparently came free in Red Rose and Blue Ribbon tea. Red Rose is still around, but I’ve never seen Blue Ribbon. Does anyone remember that? 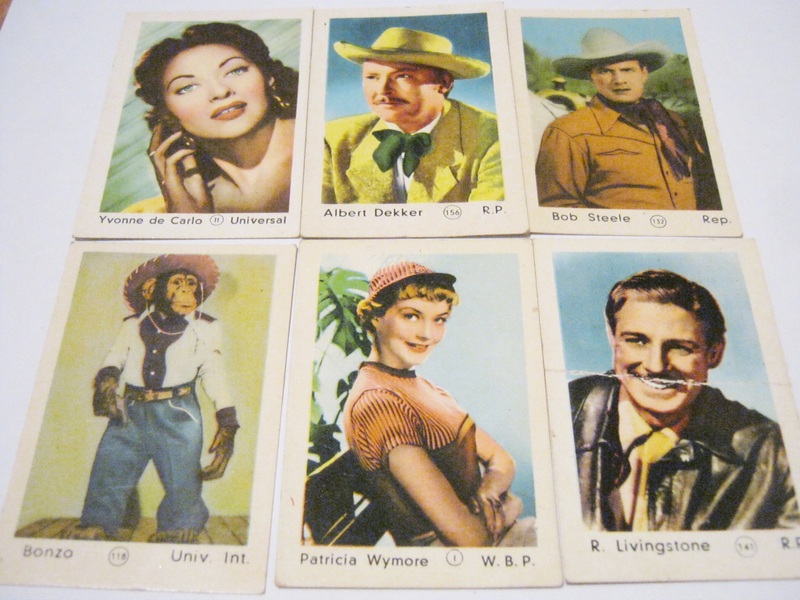 These looks like some old movie star collecting cards. I don’t really know anyone here outside of John Wayne, and maybe Bonzo though I might just be confusing him with another chimp. A kid signed her name on the back of each. 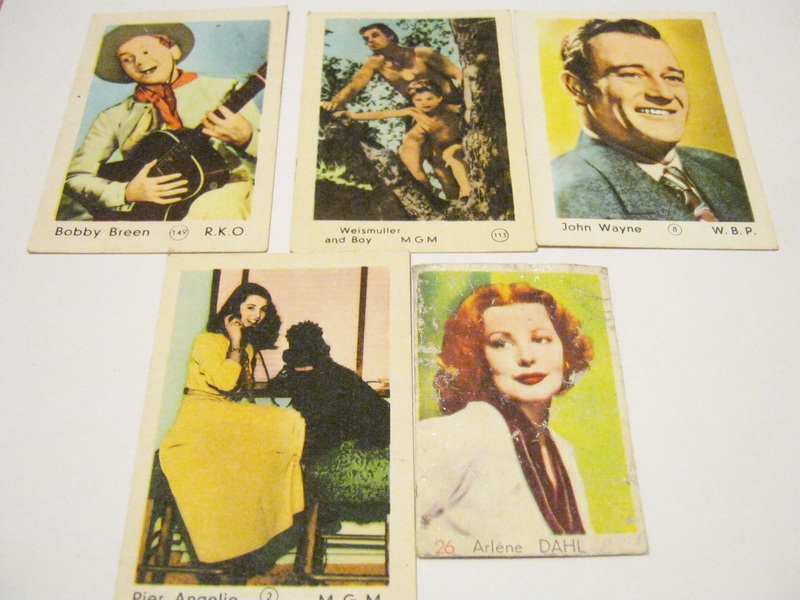 It’s interesting that each card and each actor is associated with only one company (Universal, MGM, R.P. etc). Were actors and actresses contractually bound to only work for one company in those days? Lots of questions today eh? A magazine put out by Bell Telephone Co. from 1963. Apparently Bell employees were up to pretty heroic deeds! A pretty cool package. I think there are sugar cubes in there. 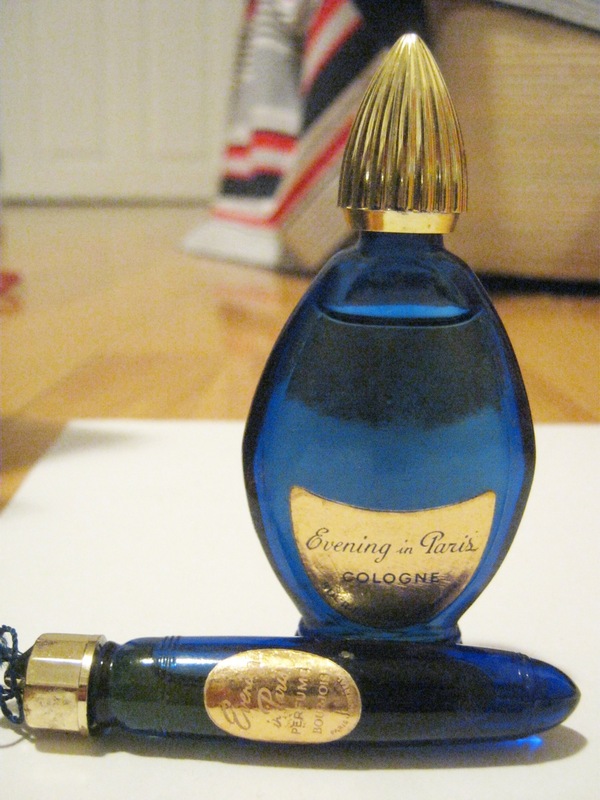 Some “Evening in Paris” cologne and perfume. The bottles are still full and have a good kick to them. 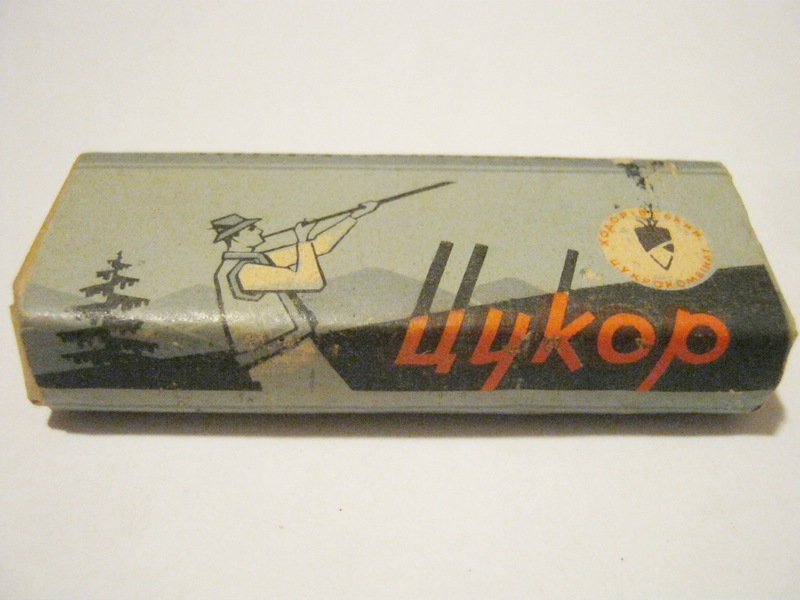 From a Google search it seems like a pretty classic and somewhat collectible scent. 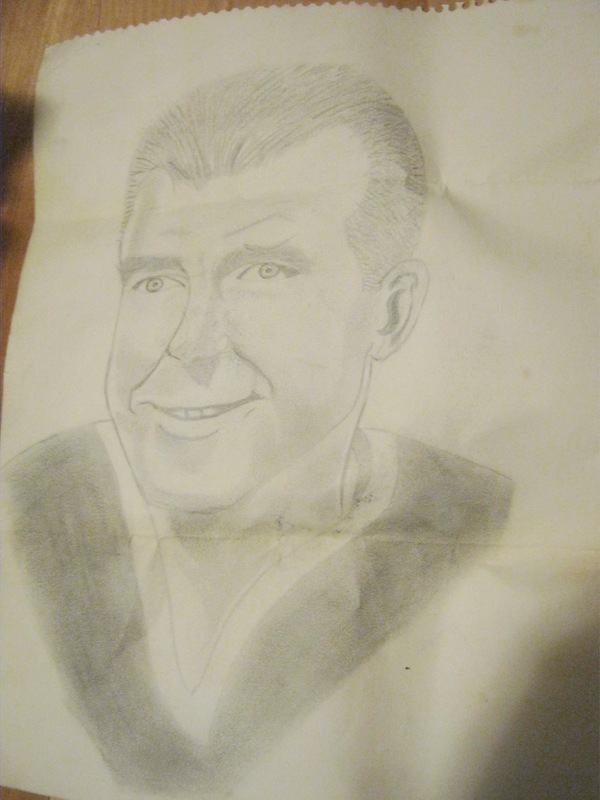 A drawing I found amongst the stuff. 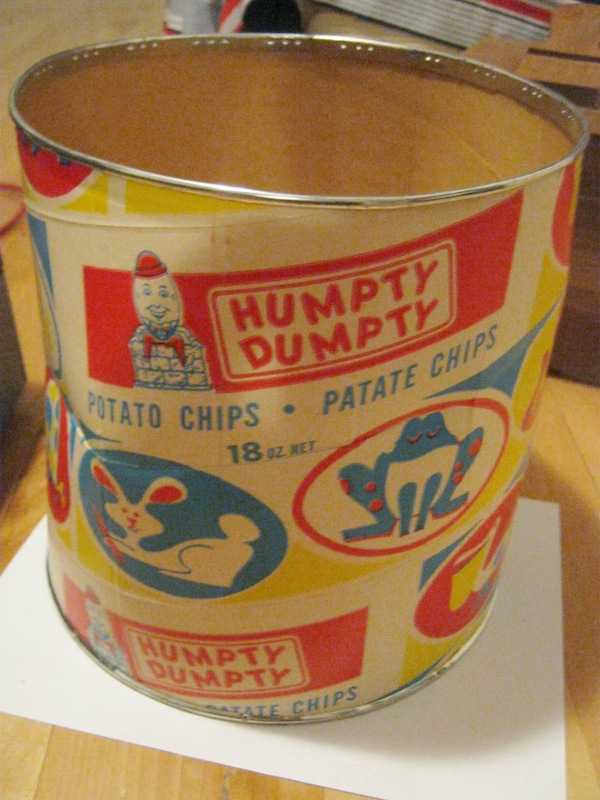 An old Humpty Dumpty potato chip container. It’s pretty clean, so I’m guessing it just held a big bag of chips. That’s all for now. I still owe you some pictures of stuff from a while back. Check in tomorrow, maybe? Oh wow wow wow. Where do you find all these things? In public bins and so on? Skips? I find most of these things in bags left out on trash day. Montreal, in contrast to a lot of other cities I’ve been to, doesn’t use bins and you more or less just leave your bags and god knows whatever else out on the curb. I must say, it’s a great system for trash picking! Ooooh, that is so interesting! We don’t have anything like that here – everything is put in black bags and then into green bins so it would be really hard find the gems that you’ve managed to pick up. Wow, Courvoisier cognac; I love that stuff! I haven’t had any since your dad and I used to buy it; we’d treat ourselves to one bottle a year, usually around Christmastime. It’s a bit out of my price range now. http://en.wikipedia.org/wiki/Courvoisier Savour it. Nice Norse ship on that old coin. 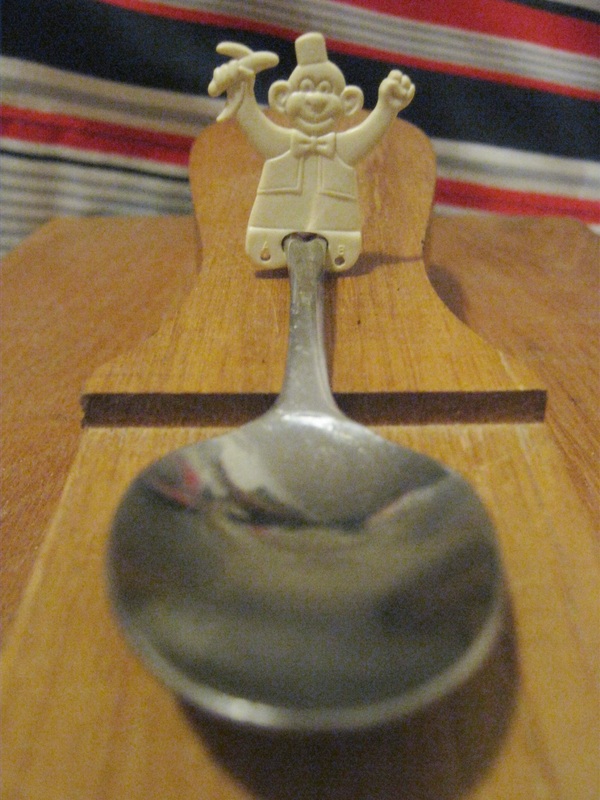 Great little spoon thingie. That could go in your Etsy store. That money is curious. 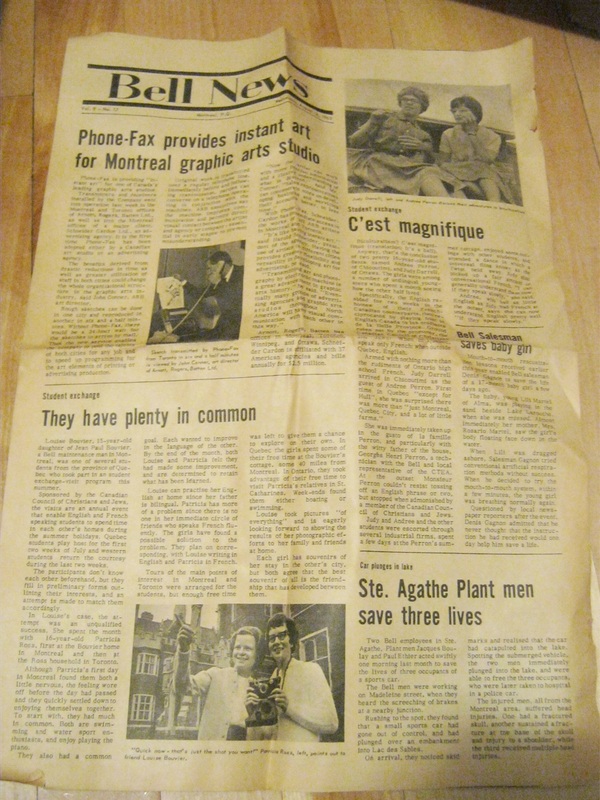 CECM = Commission des ecoles catholiques de Montreal. On the English side, the word “Scolastic” is spelled without an “h”, which would be the English spelling. 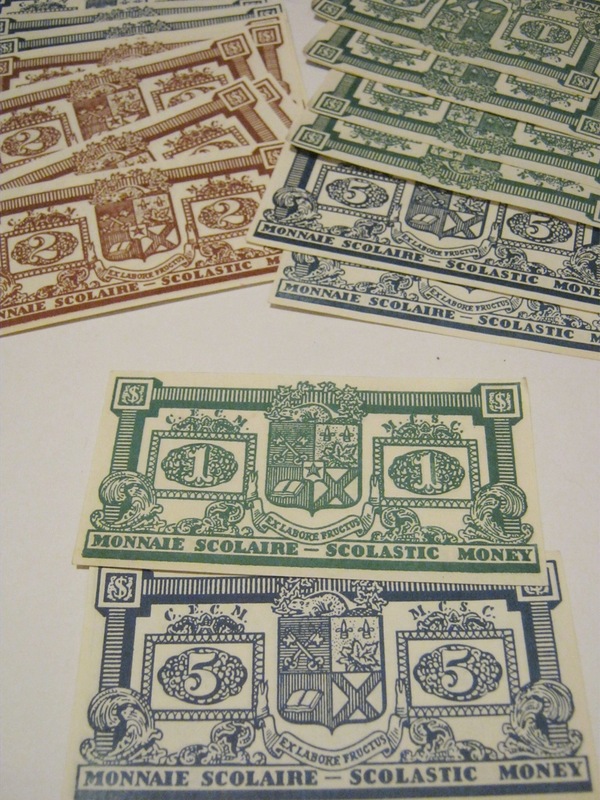 I’m guessing these “bills” were some sort of teaching aid used in schools (but not to teach English, apparently). Evening in Paris … I remember that. (Iconic and chic floral fragrance for women, created by Ernest Beaux in 1928. The top notes are bergamot, apricot and peach, green notes and violet.) Good finds! Your little vial looks to date from the 1930s ($18 on Etsy here http://www.etsy.com/search?includes%5B%5D=tags&q=evening+room) See http://www.penelopespearls.com/Vintage-Bourjois-Evening-In-Paris-Cologne-Perfume-w-Contents-_p_980.html where the larger bottle sold for $24. There’s quite a bit listed on eBay. 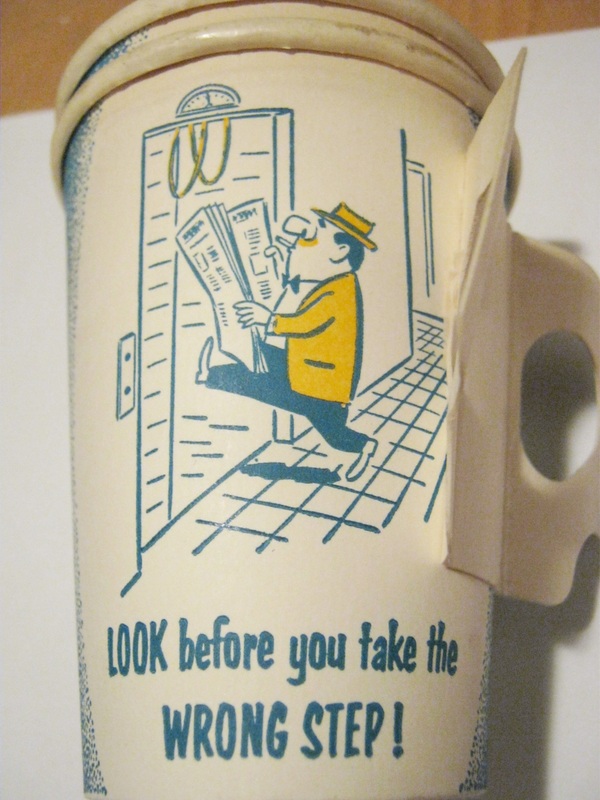 Lots of interesting ephemera. 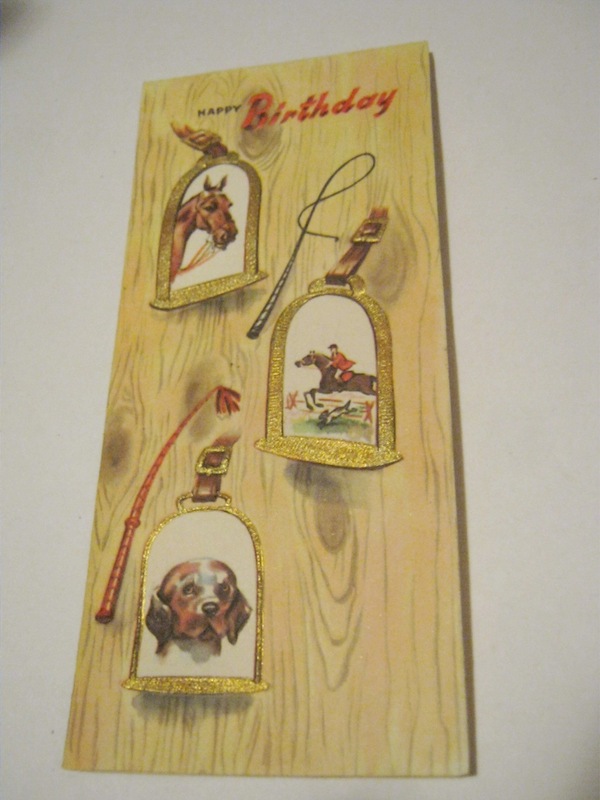 Here’s the vintage paper ephemera link on Etsy http://www.etsy.com/category/vintage/paper_ephemera You may want to add some of your stuff to that link.